After beginning piano lessons with his daughter, Megan McKeithan’s client decided to create a concert hall environment for practice and performance in their home. 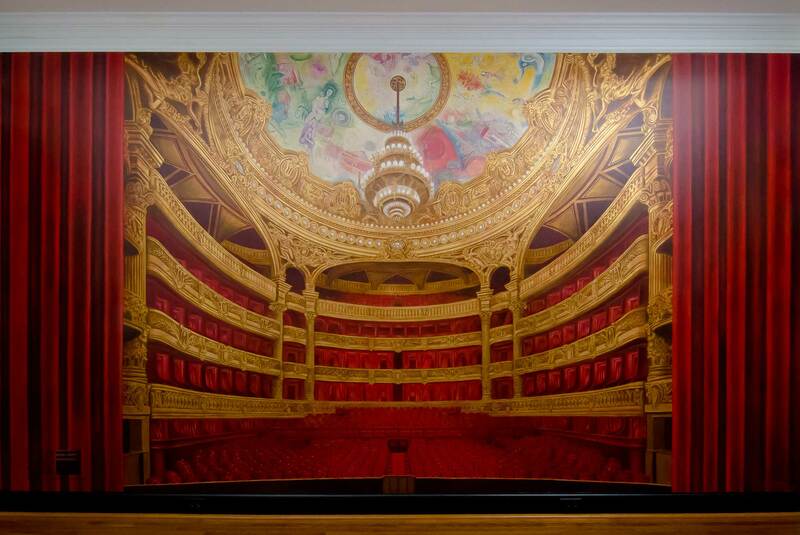 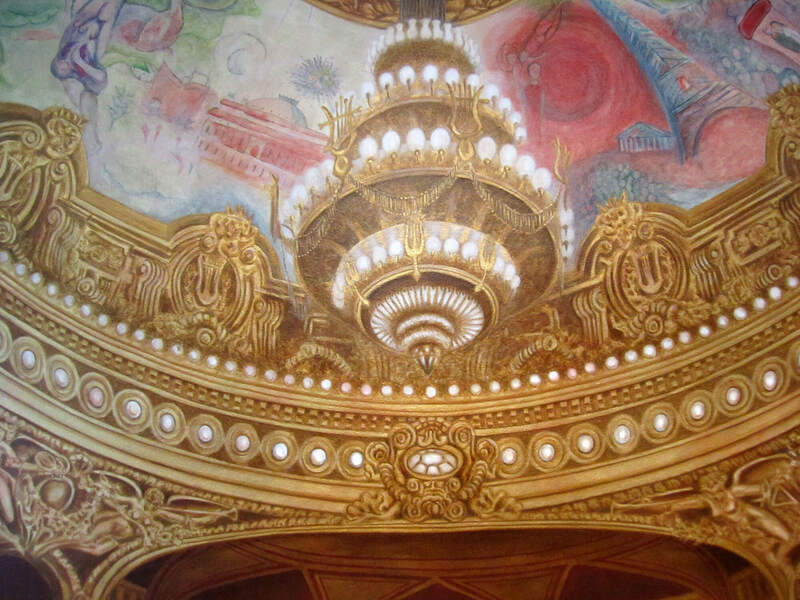 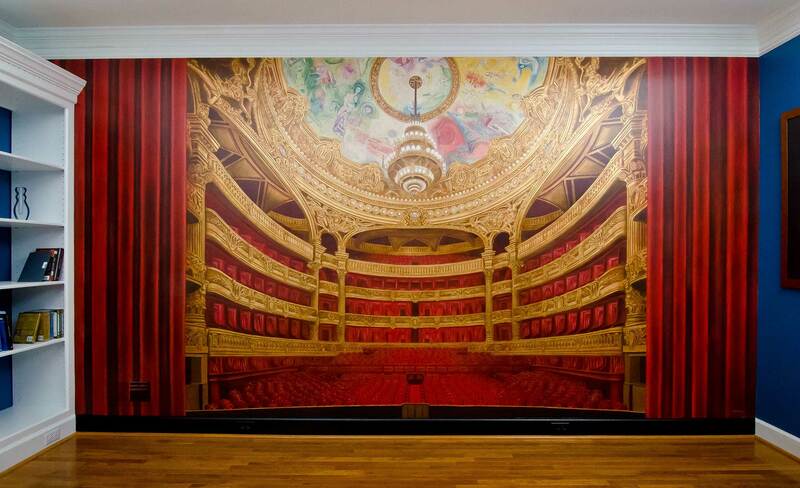 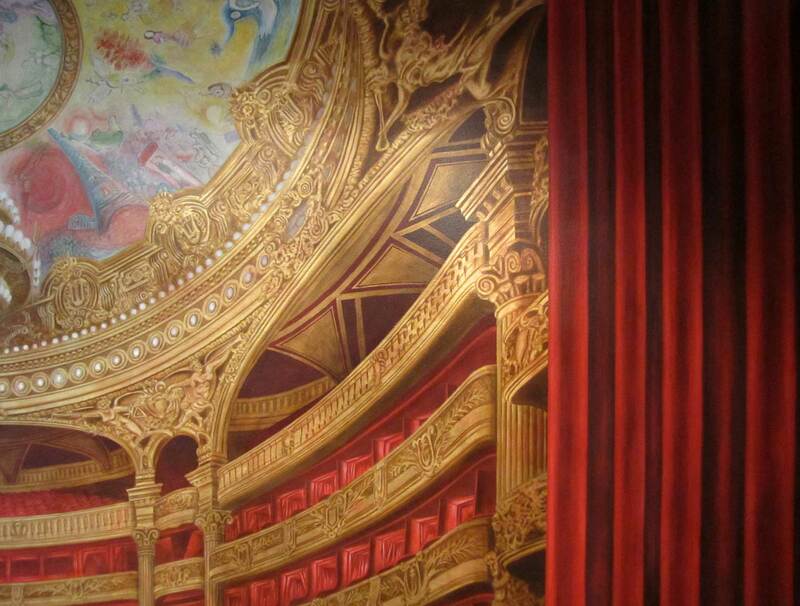 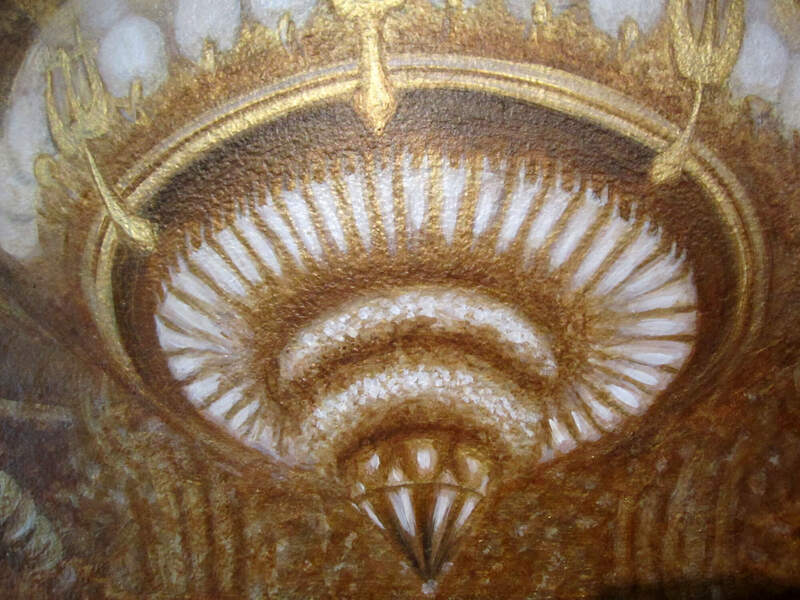 Megan McKeithan selected the Paris Opera House as the inspiration for her mural entitled Attente (meaning anticipation). Her client’s favorite artist, Marc Chagall, painted the ceiling of the Paris Opera House in 1964. 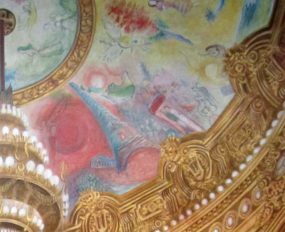 A modern addition to the Neo-Baroque style of the hall, the ceiling reflects both her client’s love of modern and contemporary art and his passion for Baroque music. 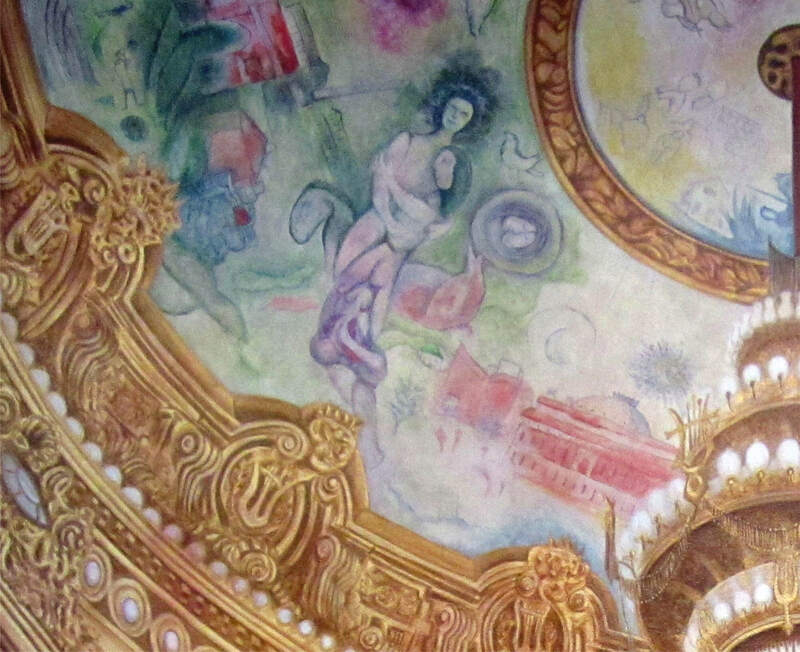 The ceiling features images paying tribute to Chagall’s favorite composers, actors, and dancers. Megan created this trompe l’oeil illusion on canvas so her client can take his opera house on the road once he and his daughter are famous. The piano room is adjacent to the foyer featuring The Persistence of Dali, a mural on the tray ceiling inspired by the work of Salvador Dali.